Program Description: The United States has been using nuclear energy for electricity production since 1957. According to the Energy Information Administration, nuclear energy produces 20% of our total electricity and 70% of our low-carbon electricity. There are 104 commercial nuclear power reactors currently producing electricity in 31 states. License applications have been submitted to construct 26 new nuclear reactors in the United States. In addition, the use of nuclear power is increasing around the world, with nuclear power plants supplying 14% of the world’s electricity. There are 29 countries worldwide that operate a total of 437 nuclear reactors for electricity production and there are 65 new reactors under construction in 15 countries. Recently, the Fukashima Dai-ichi nuclear plant crisis in Japan in March 2011 impacted countries located thousands of miles away. Several questions and issues became evident as the events unraveled. These issues included evacuation measures, water and food safety, traveler screening, and the use of drugs like potassium iodide. Globalization and the rising number of nuclear reactors, underscore the need to educate all members of society, particularly healthcare providers, about nuclear power plant emergencies and to solidify preparedness for such rare yet devastating events. Target Audience: The Nuclear Plant Emergency Response training is intended for pre-hospital care providers and first responders and first receivers as well as public health responders who may be called on to respond to a nuclear plant emergency incident and/or treat victims of a nuclear plant emergency. Describe basic radiation physics principles including ionizing radiation, radioactive decay, nuclear fission, and exposure/contamination. Describe the functioning & potential malfunctioning of a nuclear power plant. Discuss protective action measures including the use of medical countermeasures in the aftermath of a nuclear power plant accident. Discuss the acute & chronic clinical effects from a nuclear power plant accident. Discuss population monitoring in the aftermath of a nuclear power plant accident. Discuss the issues surrounding food and water safety after a nuclear power plant accident. Discuss the mental health effects in a community affected by a nuclear power plant emergency.  Describe the state of Georgia & Federal Nuclear Power Plant emergency response plan. Identify the roles pharmacists play in emergency preparedness (e.g. bioterrorism and chemical terrorism, natural disasters) and response teams (e.g. medication dispensing, information provision, vaccination response teams, medical reserve corps) on the local and national levels. CME: This activity has been planned and implemented in accordance with the Essential Areas and policies of the Accreditation Council for Continuing Medical Education through the joint providership of the Centers for Disease Control and Prevention and The Georgia Poison Center. The Centers for Disease Control and Prevention is accredited by the (ACCME®) to provide medical education for physicians. Physicians should claim only the credit commensurate with the extent of their participation in the activity. The Centers for Disease Control and Prevention designates this live activity for a maximum of 6.5 AMA PRA Category 1 Credits™. CEU: The Centers for Disease Control and Prevention is authorized by IACET to offer 0.7 CEU’s for this program. CECH: Sponsored by the Centers for Disease Control and Prevention, a designated provider of continuing education contact hours (CECH) in health education by the National Commission for Health Education Credentialing, Inc. This program is designated for Certified Health Education Specialists (CHES) and/or Master Certified Health Education Specialists (MCHES) to receive up to 6.5 total Category I continuing education contact hours. Maximum advanced level continuing education contact hours available are 0 CDC provider number 98614. This program is a designated event for pharmacists to receive 6.5 Contact Hours in pharmacy education. The Universal Activity Number is 0387-9999-18-111-L04-P.
Once credit is claimed, an unofficial statement of credit is immediatley available on TCEOnline. Official credit will be uploaded within 60 days on the NABP/CPE Monitor. The Centers for Disease Control and Prevention is a pre-approved provider of Certified in Public Health (CPH) recertification credits and is authorized to offer 7.0 CPH recertification credits for this program. DISCLOSURE: In compliance with continuing education requirements, all planners, presenters, and their spouses/partners must disclose any financial or other associations with the manufacturers of commercial products, suppliers of commercial services, or commercial supporters as well as any use of unlabeled product(s) or product(s) under investigational use. Content will not include any discussion of the unlabeled use of a product or a product under investigational use with the exception of Dr. Ziad Kazzi’s discussion on filgrastim. He will be discussing filgrastim use for acute radiation syndrome. The Centers for Disease Control and Prevention and the Georgia Poison Center are jointly providing the CNE for this activity.